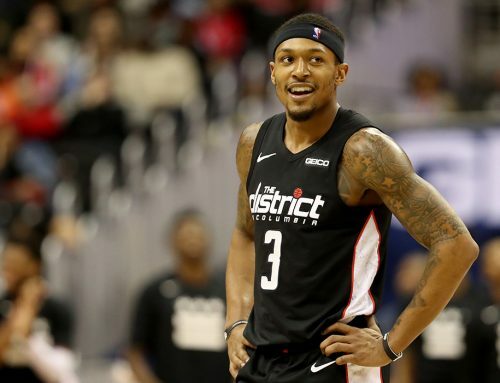 Bradley Beal scored 57 points over the weekend in games against the Charlotte Hornets and Philadelphia 76ers. Brad’s higher scoring output of 33 points came in a loss Friday night to the Hornets in a game where the Wizards were unable to climb out of a 10-point first quarter deficit. Ultimately, the defense was too relaxed, allowing the Hornets to score 122 points in the game. 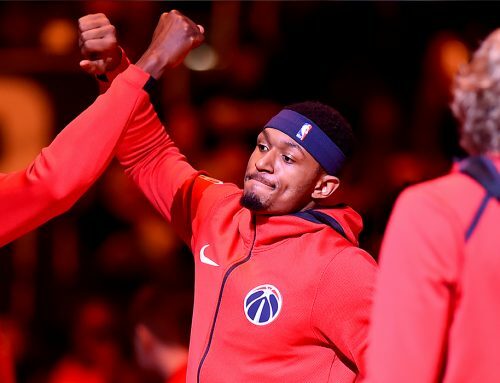 However, the Wizards righted the ship on Sunday night against the Sixers on ESPN, snapping the Sixers seven-game win streak. This game was a battle early on, but then the Wizards exploded for a 37-point second quarter, which opened the game up and gave them a 19-point lead heading into the intermission. The Wizards closed the first half on a 17-4 run, spurred by threes from Beal, Otto Porter Jr. and Kelly Oubre Jr. Porter and Oubre combined for 42 points in the game. BB notched 24 points to go along with eight assists and five rebound. 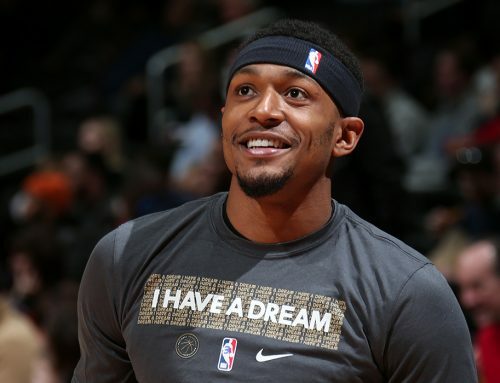 For Beal, and the rest of the team, it was an extremely efficient shooting night. No. 3 shot 9-14 from the floor and 3-5 from deep. As a unit, the Wizards shot over 54 percent for the game, 48 percent from three, and missed only one free throw. As they have been doing wonderfully the last several games, the Wizards have found the open man for the best possible shot. Sunday night they racked up 35 assists, which contributed to their efficient offensive night and helped them hold off a late push by the Sixers. After the game, Brad was pleased to grind out a win over a team that had given them trouble this year and one that hadn’t lost since before Super Bowl LII. The Wizards have now won four of their last five game and nine of their last 12 as they continue their fight for playoff positioning. They have a slate of three nationally televised games ahead of them this week as they face off against three other projected playoff teams. First, they travel to Milwaukee on Tuesday for a game against the Bucks on TNT. Then, they return home to host the Golden State Warriors on ESPN Wednesday night, and then wrap up the week against the visiting Toronto Raptors, Friday night on ESPN. All three games are scheduled to tip-off at 8pm ET.